Is it possible to be almost 100km away from London, close to the Kent countryside but less than 40 minutes from the capital? The answer is 'yes'... if you live in Ashford, Kent. A stone's throw from the glorious North Downs, you could say Ashford holds the Garden of England's most enviable location, with Paris only one hour and 52 minutes away. Once you throw in Ashford's wide variety of property and low average property age thanks to a host of new developments, it's clear to see why this section of the south east remains hugely popular and is renowned as one of the best places to live in Kent. Ashford has long been earmarked by governments as a town for growth and the 2011 census showed that the town's burgeoning population had risen by 14.6%. 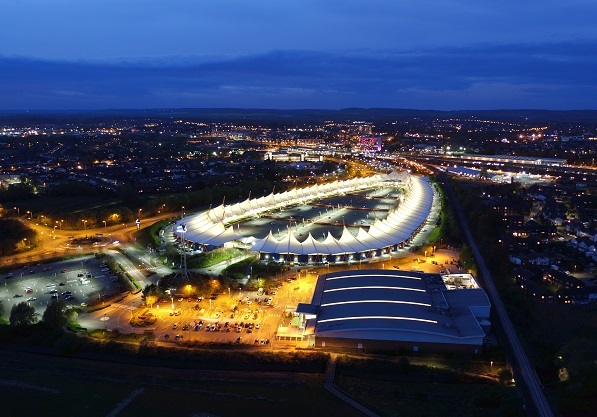 As well as providing a base for London workers, Ashford attracts buyers looking for employment in the town itself, with several large companies based there and employment rates higher than average. 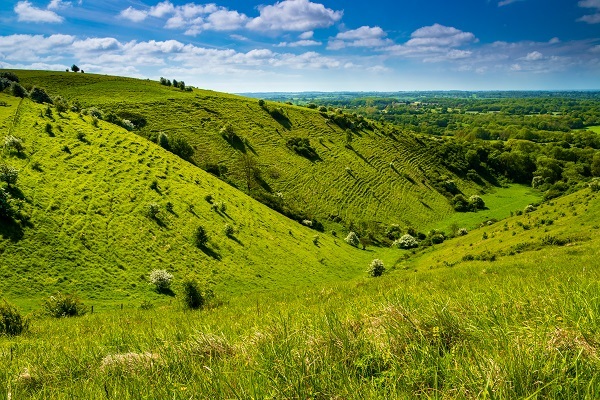 South East of Maidstone and close, also, to Folkestone and Canterbury, Ashford takes a percentage of all the good of Kent, including the county's glorious coastline at Folkestone, Ramsgate and Margate. Its low crime rates are also a huge attraction for families and it was voted the UK's fourth best commuter town as recently as 2016. With much of Kent best known for Victorian terraced homes, Ashford is a little different with a much lower property age. Due to the town's development in the 1960s, a large percentage of Ashford property was built in that era - meaning large three and four-bedroom family homes. New development is also under way by the likes of Crest, Taylor Wimpey, Persimmon and Pentland, with developments at Repton Park (Taylor Wimpey) and Conningbrook Lakes (Latimer Homes) particularly eye-catching. Semi-detached homes topped the table for the most sales in Ashford during the past 12 months, fetching an average price of £272,595. More traditional terraced homes sold for £223,137 on average, while detached family properties were sold for £394,182. Ashford's overall average property price made it cheaper than Maidstone (£315,559) and Canterbury (£315,164). Much of Ashford's rental stock is formed by more modern flats and apartments, although Martin & Co often has a variety of larger houses available for let. Two-bedroom flats average £909 per month in rent, while a larger three-bedroom house commands around £1,238. Those who live in Kent will know that property prices tend to rise the closer you get to London. Ashford, though, bucks the trend somewhat. Although the town is almost 100km south east of central London, it is boosted by amazing transport links into the capital. As well as the M20 and A20 roads linking Ashford with London, trains using the high-speed line from Ashford International station arrive at St Pancras in just 38 minutes! It's not all about commuter links to London for those living in Ashford though. The coastlines of Margate and Folkestone are only a short drive away along the A28 and M20 respectively. Traditionally the Kent economy is made up of a mixture of haulage, agriculture, logistics and some science-based industries. As well as providing great links for London workers, Ashford is also home to some large employers. Away from public sector employment, Ashford firm Brake Bros, the frozen food wholesaler, has its European headquarters at Eureka Park in the town, while Premier Foods employs almost 400 people at the former Batchelors soup factory. The Ashford Designer outlet retail space, meanwhile, has around 600 employees at its town centre base. As well as two grammar schools, the Norton Knatchbull School school for boys and Highworth Grammar School for girls, Ashford has 12 primary schools and two state secondary schools. Among the best primary schools are Challock Primary School, Downs View Infant School, Goldwyn School, Great Chart Primary School and Lady Joanna Thornhill Endowed Primary School which are all rated 'Outstanding' Ofsted. The Ashford Designer Outlet is home to the likes of Ralph Lauren, Nike, Hugo Boss, Tommy Hilfiger, Barbour, Calvin Klein and Diesel and is hugely popular with shoppers across Kent. The County Square shopping centre in town, meanwhile, hosts high street retailers like Debenhams and Marks & Spencer as well as Next, H&M and New Look. Shops such as Wilko and Boots are based in the Park Mall shopping centre, while Ashford is also home to a farmers' market on the first Sunday of every month, with a host of stallholders selling local produce. The Three Chimneys in nearby Biddenden serves a variety of wines and ales as well as informal dining in its dark-beamed building. The West House, meanwhile, also in Biddenden is run by a family and focuses on using the very best in local produce - so much so that it gained a Michelin star in 2003 and still holds it. For a top Sunday roast, try the Compasses Inn in Crundale - a favourite haunt of Bake Off's Paul Hollywood, no less. As well as superb shopping and the open space of the North Downs, Ashford is also not short of history. Godinton House and Gardens is a stunning example of Jacobean architecture, with beautiful grounds to lose yourself in. 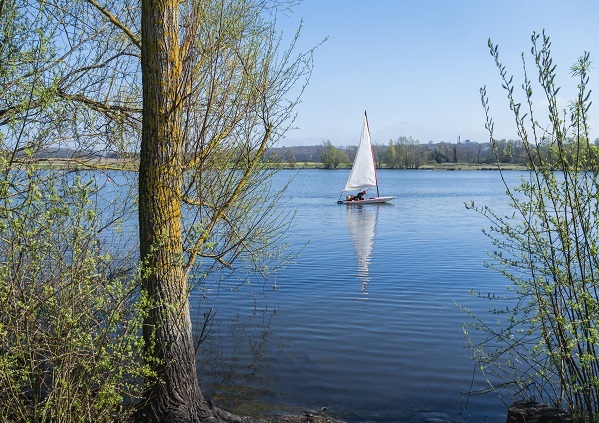 Conningbrook Lakes is as loved by fisherman as it is by dog walkers and those seeking some tranquility away from the town centre, while history lovers should head to see the Ashford Tank - a fully-maintained World War One tank on display in the town centre. Ashford Leisure Trust's centre has a popular leisure pool with flume rides and a 'raging river', making it an ideal option when the weather is bad. When the sun is out, head to Victoria Park where the kids will be entertained for hours with the various play parks - but don't forget your picnic! If you are thinking of moving to Ashford take a look at our available properties, or get in touch with Martin & Co Ashford who will be happy to answer any questions you have on living in the area.